Note: If you do not know what Composer is, please use the normal method of installing the Premium plugins. You can use our installation guides for that. If you want to install Yoast SEO for TYPO3, please refer to the TYPO3 version of this article. 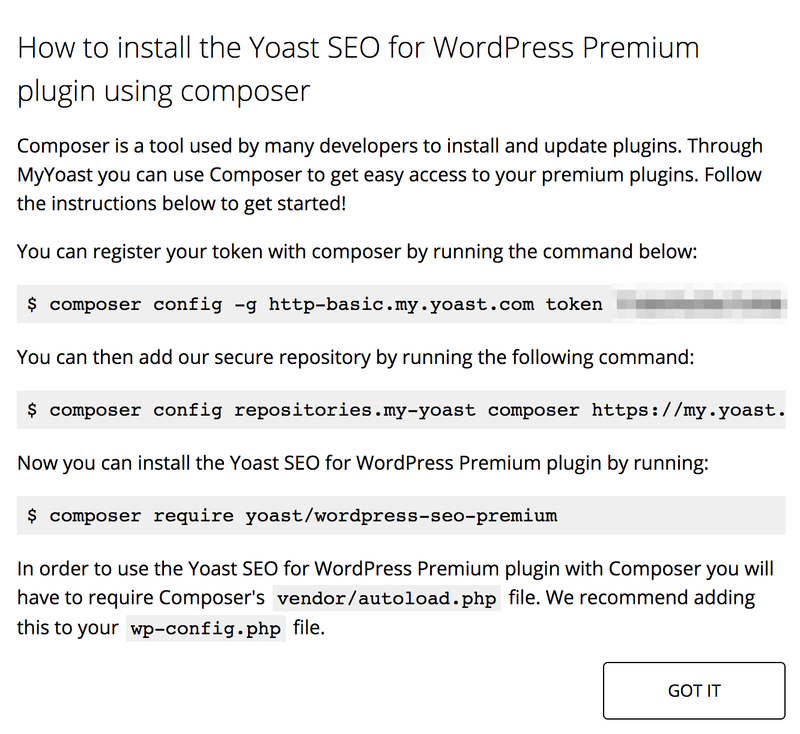 MyYoast offers the ability to install our Premium plugins via Composer. 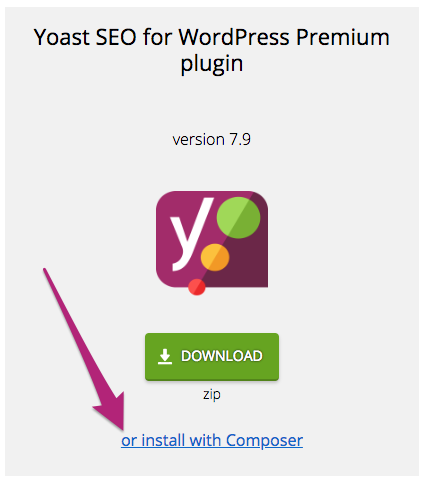 You will find a 'or install with composer' link in the Download section of MyYoast. After you have created the token, you will see a pop-up with all the info you need to install our Premium plugins through composer. 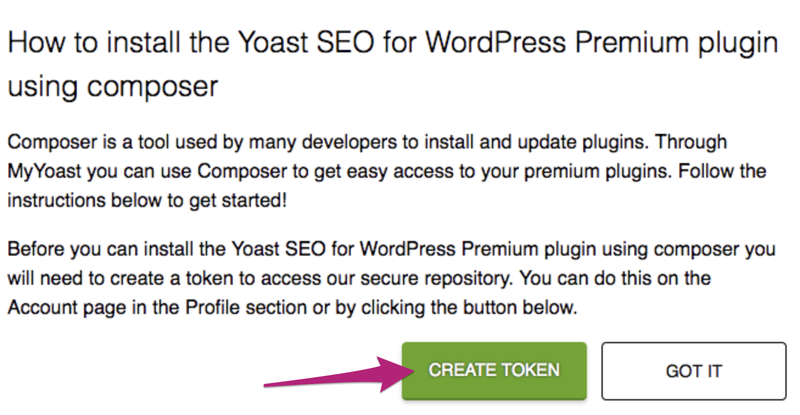 We do not include the full commands in the article because they need the token which you can only get through MyYoast.